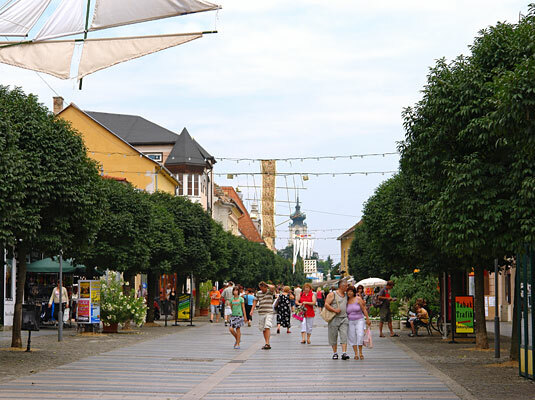 In the Middle Ages Keszthely had a single street, the main street. At the northern end stood the mansion. 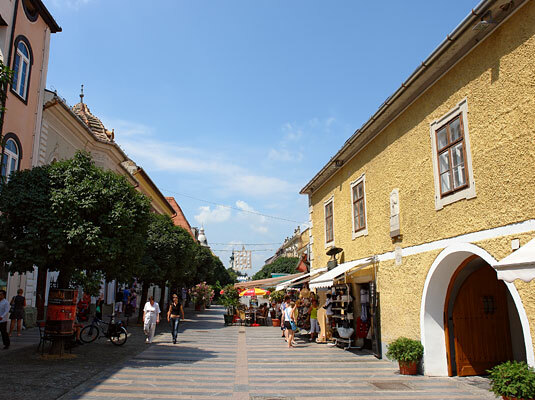 End of the15th century it was owned by the Gersei-Pethő family, then later by the Festetics family. Here was the “center of power”. 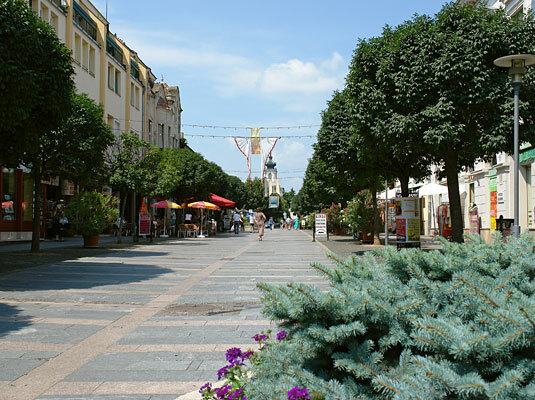 So let’s take a walk from this “center of power” in southern direction, along the Kossuth Lajos street to the main square! 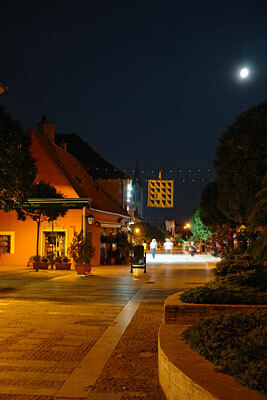 If you leave through the main gate of the beautiful park, you come to the street with the catchy name “Kastély – Castle ‘. Here are the houses from the 18th wentury, residential houses of the administrators of the Festetics estate (Number 5 and 16). Next, on the corner of Georgikon road we find the former Hotel Amazon, the oldest hotel in the city. After the zebra crossing begins the pedestrian zone. When you cross the street, you do not think, that in reality you are crossing the former Italian road of war, running east-west direction. The different styles of the buildings tolerate well each other. Classicism of the 1820-er with the baroque of the 18th century or with the secession (No. 9). 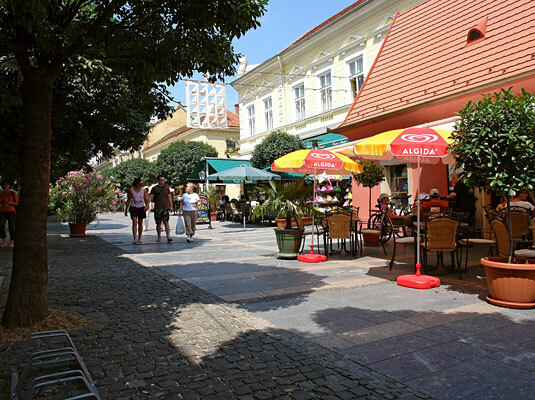 The corner house opposite the pharmacy in the Széchenyi street has been serving the guests for 150 years. First as a café, then as the Hotel Korona, and ultimately as Gösser restaurant and inn. For the most regret of the inhabitants the atmospheric restaurant with a shady beer garden has been remodeled. Now, a grocery and a bank are to be found in the building. The shady garden is a parking place now. Castrum CampingKeszthelyMóra Ferenc utca 48. 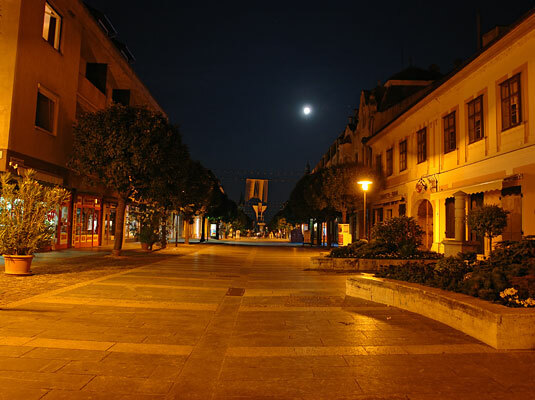 Balatontourist Cam…KeszthelyEntz Géza sétány 1. Hotel OvitKeszthelyAlsópáhoki út (hu) Marton ApartmanKeszthelyKeszthely, Pázmány Péter u. 6. Nádas ApartmanKeszthelyNádas köz 2. (hu) Palmetta Apar…KeszthelyBercsényi Miklós u. 59. Wellness Hotel Kak…KeszthelyPázmány Péter utca 14. Admiral Hotel***- …KeszthelyPázmány Péter utca 1. Sebestyén VendégházKeszthelyFestetics út 40. Hotel KristályKeszthelyLovassy Sándor utca 20. Erika PanzióKeszthelyAdy Endre utca 16. Barbara Wellness P…KeszthelyZámor utca 2. Viola VendégházKeszthelyLovassy Sándor utca 11. Villa SissyKeszthelyErzsébet királyné utca 70. Toldi68 Apartmenth…KeszthelyToldi u.68 Silatti Panzió-Apa…KeszthelyRákóczi utca 72. (hu) Keszthelyi VS…KeszthelyMártírok útja 1. Andrea Panzió Kesz…KeszthelyPál utca 3. Tokaji PanzióKeszthelyApát utca 21. (hu) Kati Apartman…KeszthelyPipáskert u. 8.